Buying a home in Naples - Now that you have decided to buy a home in Naples. What next? Now that you have decided to buy a home in Naples. What next? If you are serious about buying a home in Naples the first is that you need to select a realtor. One who really knows Naples as it is complex and takes years to learn. Most homes/condos are in a gated community, west of 41, in Olde Naples, etc., and each of these will probably contain an assortment of Single Family, Condos and Villas, all different. If you are looking for a condo on the beach or the bay, you will probably be looking at a high rise or a condo complex and each is unique. If you are a golfer there are close to one hundred golf communities in Naples, Bonita Beach and Estero. All offer excellent courses but the right one will vary depending on your skill level and the type of challenge you are seeking. Once you have selected your Realtor and found that home that you want, it is time to start the actual process for buying a home in Naples. This varies from state to state and may be different than what you are used to. The first step is to complete the Sales Contract. The most important item is the purchase price. When you are determining this you will want to start by looking at the listings, pendings and sales in the community for similar homes. If the one you have selected is priced correctly, you can generally depend on paying between 95% to 96% of the asking price. Make sure that your offer allows you room to negotiate but is not too low. Next you will need to determine how much of a deposit to put down. This should be between 10% and 20% of your purchase price. If necessary, you can do this in two steps or defer the deposit until your offer is accepted. If you are a foreign buyer, this is generally a good idea so that you do not get caught up in the changing exchange rate if your offer is not accepted. If you are paying cash it is advisable to provide proof of funds with your offer. If you will be getting a mortgage you need to include the amount in your offer (the sales contract). A preapproval letter from your financial institution is also advisable. The next important item is the closing date. You should allow at least 30 days for cash and 45 to 60 days if you will be getting a mortgage. And finally you will need to determine the types of inspections that you want if the you are not purchasing the home “as is”, i.e. structural and mechanical, radon, mold, and/or termite. If you are purchasing the home “as is” with the right to inspect, you can terminate your offer if the inspection turns up any issues that are not acceptable. If financing, financing rates and years of the mortgage. If the offer is located in a special taxing district (note the amount is included in the tax bill). 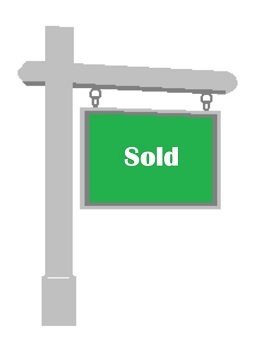 · If you have not done so already you will need to review and sign the Sellers Real Property Disclosure. This is a form that the seller filled out describing the condition of the property and all of the systems, appliances, etc. · If you are purchasing a single family home in an association you will also receive a Homeowners’ Association Disclosure that discloses the fees or any upcoming special assessments which you will need to review and sign. · If are purchasing a condo you will receive all the condo docs, rules and regs, FAQs and financials. You have three days to review these after receipt and if you find anything that is unacceptable, you can cancel the contract. · You will need to get an inspection by a licensed Florida Inspector(s) depending on the type of inspections you are having. You can choose your own and your realtor can recommend one or more. This has to occur within 15 days of the Effective date. Once the inspection is complete you have five days to complete the Inspection Notice and Buyer’s Response. Here you can request that the seller fix any non-cosmetic items and remediate any radon, mold or termite problems, provide a credit at closing equivalent to the estimate cost of the needed repairs, or a combination of the above. Your agent will then forward your completed form along with your list of items to be fixed and a copy of the inspection report to the other agent for the seller. The seller then can elect to accept or reject your request. If rejected you can then cancel the contract. Note that the seller may agree to part of your request. You can then accept this or cancel the contract. · If you are getting a mortgage you will have to get insurance. If you do not have a company in mind, your agent can recommend one. Note that there are only a few companies that write home owners insurance in Florida. · If you will be getting a mortgage you will need to complete the Financing Contingency Waiver which waives the financing contingency, i.e. that you have the mortgage or funds and are ready to close. · The last item before closing is a final walk through to make sure the property was in the same condition as when you made the offer. Now that the offer has been accepted and all of the contingencies have been satisfied, you are ready to close. Before that, you will need to wire any funds necessary to the closing agent. Now all that is left is to sign the paper work and move into your new home. You do not need to be at the closing as all the paper work can be handled via the mail. The above is a general outline for a typical purchase. However if you live in a Community Development District, are doing a 1041 exchange, etc., or there are any complications, there are a number of other forms that may have to be completed. In fact, there are 77 forms to cover any and all contingencies. I hope the above about buying a home in Naples has been helpful and gives you a general idea of the buying process. If you have any questions, please feel free to give me a call.